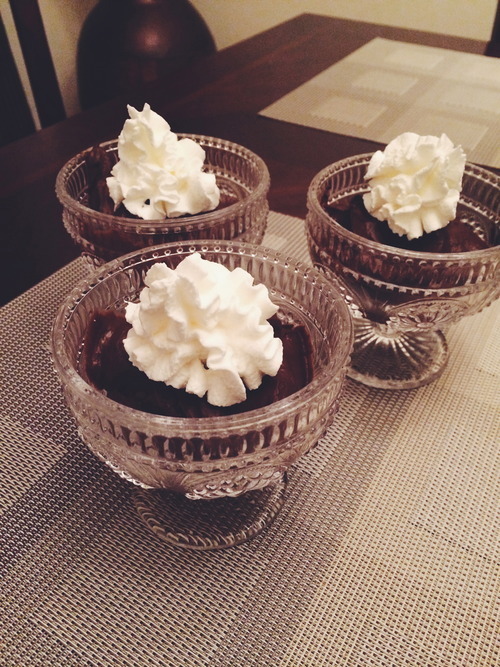 This creamy & decadent dark treat is the perfect way to end a busy weekend. The flavor of the avocado is magically masked by the dark chocolate and it’s a dairy-free and healthy alternative to other heavy mousses and chocolate puddings that are full of preservatives. Bonus? 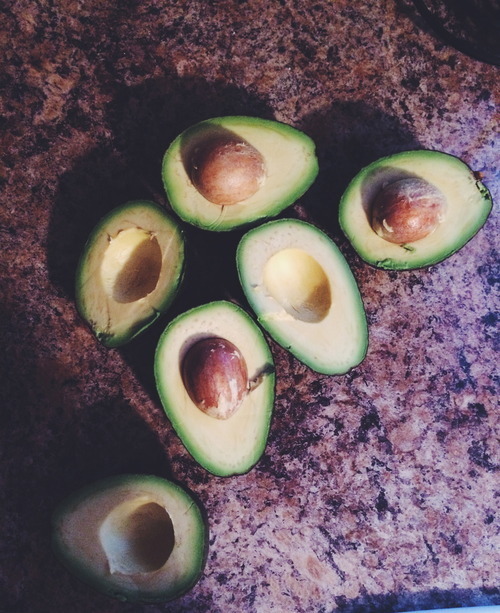 You’re getting the best type of healthy fat from all the avocados. Not too sweet but just rich enough to satisfy your sweet tooth! original recipe here. (gluten free // dairy free). serves 4-6. Melt chocolate chips in a double boiler. Set aside and let cool slightly. In a large food processor, combine avocados, cocoa powder, agave, vanilla, salt and almond milk; puree and add melted chocolate. Blend until smooth and creamy, scraping sides as needed. Spoon into glasses and refrigerate 1-3 hours. Garnish with fresh berries or whip cream and indulge. hope ya’ll had a wonderful weekend.